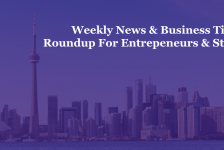 The week's business news and tips for startups and SME businesses. While success can never be guaranteed for those preparing to launch a new product, lessons can be learned from the failures of others. Here are five memorable product fails and their corresponding lessons for entrepreneurs, three of which originate with mega-brands Coca-Cola, Microsoft, and Apple. If you’re at the very beginning of your entrepreneurial journey, especially if you’re a small business that intends to remain small, then you know that one of your biggest challenges is dealing with a tight budget. To save money while you’re getting underway, consider these three strategies: launch from home until you can afford that office, warehouse or commercial kitchen; be energy efficient; and stop trying to impress with outward appearances of success. Remember, people are interested in doing business with you because of the value you create and the problem you solve. Establishing well-defined standard operating procedures (SOPs) for your business carries more value than simply ensuring your employees are prepared for any eventuality. Establishing clear, detailed procedures also can increase the value of your business by building brand consistency and a reputation for excellence, as well as demonstrating to investors that you have a plan for whatever happens in the future. That said, three of the most important reasons for SOPs are: they provide a basis for consistency and promote quality assurance; they create a safe work environment; and they’re essential to employee evaluation. Drowning in meetings? You’re not alone. Research by a group of Harvard Business Review reporters found that at one large company, people spent 300,000 hours annually just supporting its weekly executive committee meeting. That is more than 34 years’ worth of labor. If your business is suffering from meeting overload, here are five ways to combat it, from assessing the prep time to sticking to agendas and schedules. You’ve worked hard to build your business, doing everything you possibly can to make it a success. But your own behaviors and decisions may sabotage your startup without you being aware of it – until after the fact, when facing ill consequences. Accepting that nobody’s perfect, including you, is the best attitude you can adopt to ensure your startup’s success. Check into these four tips for safeguarding your business, ensuring its resilience and continuity no matter the unforeseen issues that can jeopardize it: Insuring it, appointing a backup CEO, securing an attorney, and vetting all the individuals your business deals with carefully. So little time and too much to do, the saying goes. Perhaps nowhere is this more true than business, whether you’re in charge of your own, run someone else’s, or head up a department. Trying to do more in less time while putting out fires and demonstrating ROI are just a few of the challenges facing business professionals today. To give yourself a chance of winning the game, try these work day hacks aimed at capitalizing your daily cycles of peak productivity. Claim YOUR day: With the recognition that there is no such thing as 9 – 5 for everyone, determine your optimal workday hours when you’re at peak productivity. Know your cycle: Determine what blocks of time during the day when you’re at your best, distinguishing between the volume and the quality of your work. Reserve those windows for doing your most important work. Shape your schedule: Be sure to set aside time for thinking, trend tracking and envisioning. Dedicate and protect these blocks of time, whether on a weekly or monthly basis – otherwise you’ll never have enough time! If you’re a workaholic – as most people in business tend to be – this interview with former Lululemon executive Sarah Kaler holds valuable lessons. As one of the key individuals behind the rise of Lululemon (the trendy high-end athletic clothing store), Kaler helped open hundreds of stores across North America. Stress, burn out, and exhaustion took a serious toll on her health, but what didn’t kill her made her stronger. Now an entrepreneur, Kaler is an executive coach for leaders of top companies, building on her leadership coaching experience at Lululemon. In this interview, she discusses how women leaders can build teams, delegate more effectively and build positive company cultures. The leaders of four companies that have won awards for their female-friendly workplace practices shared the lessons they learned in becoming so. 1. Send the right signals: The female CEO of the Canada-based microlearning platform Axonify, which was recently named one of The Best Workplaces for Women in Canada, said that the company’s first step was to announce its new diversity initiative to employees. And not with an email, but a meeting to give the initiative the weight it deserved. 2. Set clear goals: In 2011, the Washington D.C.-based enterprise application software company SAP made a measurable goal for women to fill 25% of its leadership roles by the end of 2017. It attained the goal by mid-year. 4. Understand the “woman problem”: IBM, which has also received a Catalyst award, created a “returnship” program designed to assist women re-entering the workforce after childbirth and child rearing. Regardless of whether they’ve been out of work for two years or for 20, they’re able to participate in a 3-month internship program to learn the latest skills they need to succeed in the workplace. The Globe and Mail has announced the line up of speakers to be featured at its third annual Small Business Summit, to be held in Toronto on May 8th. Billed as “the country’s premier event for entrepreneurs who want to grow their companies,” small business owners, executives, business innovators, management consultants, as well as HR and finance professionals are encouraged to attend. Have you created an innovative technical product that you’d like to serve as the foundation for your startup? Here’s a reality check: no matter how elegant that solution may be, it won’t necessarily translate into entrepreneurial success without a solid business model. To develop the right business model for your product, it is recommended you take no less than seven steps, from validating the value of your solution with real customers to getting national visibility at trade shows and industry conventions. In today’s business environment, the same level of effort needs to be invested in establishing the business model as in creating the product itself.